You know him as DO 2 D TUN, super hype-man and radio host with Cool FM 96.9. The multiple award winning personality has no doubt earned his place as one of the well known and sought after on air personalities in Nigeria and it is no surprise that he is the first Man to kick off the ‘OAP takeovers’ by The OAP 101 project. ‘OAP 101’ is a guide for established, fresh and aspiring on air personalities. 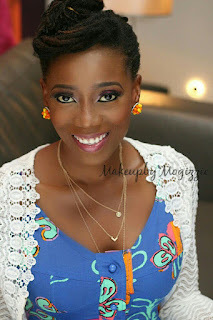 Media personality and the content queen, Tosyn Bucknor began recording diary type podcasts titled ‘OAP 101’ back in 2016. From there, it took on a life of its own with a blog, social media, and physical courses to come. Dotun’s take over kicked off with some simple words of advice- “while it wasn’t the most respected profession until now, our values tripled because we've made it a culture, a lifestyle, a force, a school to learn and be entertained all at the same time. I am proud to be an OAP and so you know, we are still one of the best multi-taskers”. The take overs are by media personalities across various media platforms (radio, television, print, digital etc) and will run on Mondays and Wednesdays. Still to come are Kaylah Oniwo of Cool FM and Lamide Akintobi of Ebony Life TV.